Shopping for new shampoo can be daunting: every bottle claims to offer so many benefits that it’s hard to know exactly what you should be looking for, let alone which formula deserves to make the cut. Two particularly buzzy terms — “protein” and “moisture” — have made it even harder for us to decide on a regimen. Both sound like they’d be nourishing (and thus interchangeable), but according to Julie Dickson, owner of Pembley Joon salon in NYC, your hair needs a balance of both. “Hair is made up of 97 percent protein and 3 percent moisture,” explains Dickson. 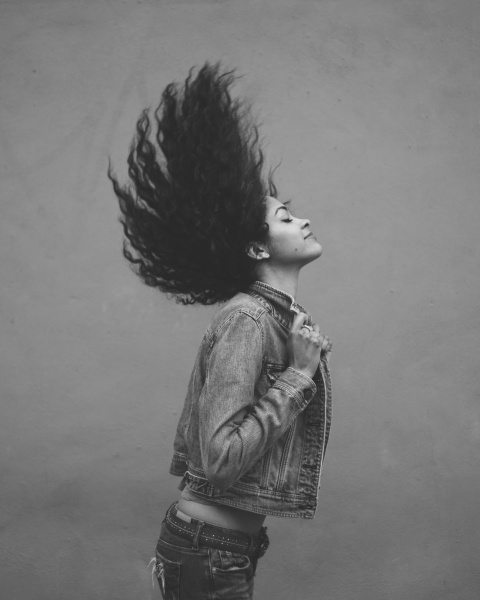 “Protein typically provides strength, and moisture provides flexibility and pliability.” Knowing you need to combine the two for healthy, shiny hair, the trick becomes knowing how much your hair needs, and when exactly it needs it. As a general rule, Dickson says, “Fine hair tends to need more protein, while curly or coarse hair tends to need more moisture.” That’s why if you have fine hair, you’ve seen that products marketed towards you are usually protein-based. Those with curly hair are sold moisture-based formulas. But achieving optimal balance is not as simple as making a beeline for whichever formula seems “right” for your hair type. 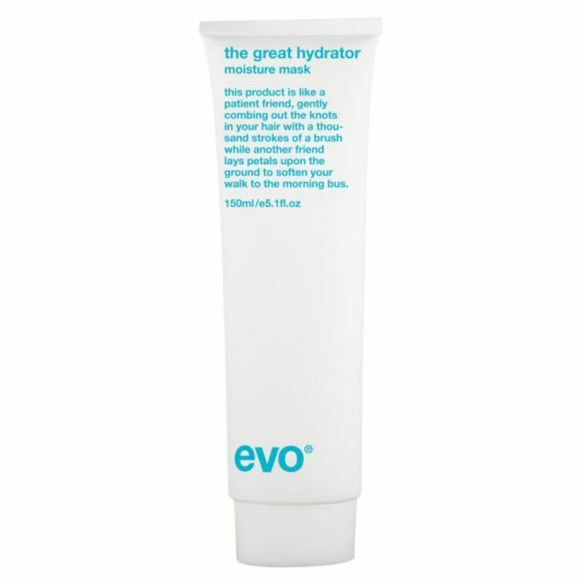 For moisture-rich formulas, Dickson swears by Evo® The Great Hydrator Moisture Mask ($29) and Evolvh Ultrashine Moisture Conditioner ($28). For protein-laden formulas, she loves the Sachajuan Hair Repair Conditioner ($33) and the Evolvh Ultrarepair Reconstructing Masque ($48). After you’ve snagged a conditioner from each category, Dickson advises keeping both formulas in your shower. That way, you can supplement whichever element your hair needs on any given day. Aside from noting whether your hair feels straw-like or limp pre-shower, you can also determine whether your hair needs protein or moisture with this simple trick: Apply conditioner and note how it feels. If it doesn’t leave hair with that slippery conditioner sensation — what Dickson calls “that magical conditioner slip”— swap formulas right then and there. Lastly — and perhaps most importantly — pay attention to your overall health. “Hair quality is a great indicator that something may be amiss internally!” Dickson says. If great products aren’t working and your hair seems to be experiencing drastic changes, consider seeing your doc. Nutritional voids as well as menopause, stress, and thyroid issues all have the potential to affect hair quality. Staying healthy, hydrated, and strong — both inside and out — is the best way to ensure your hair is shining with its most brilliant potential.